JECELI is a multi-layered intensive learning institute for directors, assistant directors and emerging teacher leaders of Jewish early childhood education programs. JECELI Fellows become leaders of their programs and communities, able to provide generative Jewish life and learning experiences for young children and their families. 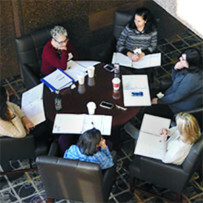 This institute, grounded in Jewish text study, provides tools and guided opportunities for understanding intentional relationships, for reflective practice, and for leadership development, all within a supportive community of practice. We accept applications from directors with five years of experience or less and those who aspire to be leaders or directors of Jewish early childhood education programs from any branch of Jewish life. We want to welcome you into the JECELI community. Click on the images at right to learn more about JECELI's areas of study. JECELI-LA is now fully underway! You can see our wonderful LA community and learn more about what JECELI looks like in Los Angeles by clicking here. The LA site will be continuously updated, so visit often! JECELI Chicago Cohort 2 has just completed its work for now- we look forward to hearing more from Chicago as the Community of Practice there continues to evolve. These early childhood professionals in Jewish schools are demonstrating their inspiration and commitment to the field, moving it forward. 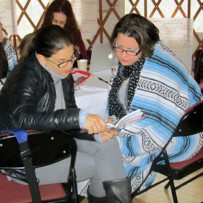 In every cohort, JECELI supports leaders and aspiring leaders by providing a grounding in Jewish learning, reflective practice, and community building. 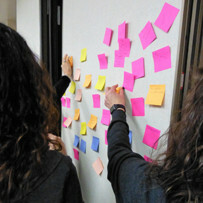 Leadership tools are used to promote collaborative work in the group and in the schools of the JECELI fellows. Challenges in the field are used as examples of opportunities to promote thoughtful, intentional changes that reference core Jewish values. To these ends, the organization of JECELI is transparent, so that the leadership skills, knowledge, and processes that inform the program are those that can be used by participants to develop their own schools. JECELI is a collaborative effort between The Jewish Theological Seminary, Hebrew Union College- Jewish Institute of Religion, originating in consultation with the Bank Street College of Education, and operating with the generous support of The Crown Family, and the Jim Joseph Foundation, in partnership with the Jewish Federation of Greater Los Angeles. For additional information on these institutions, click here.